Michael Dreiblatt of Manchester Center, Vermont is a co-founder of Balance Educational Services, LLC and Stand Up to Bullying. He is an outstanding national speaker and educational consultant, who concentrates in anti-bullying, violence prevention, creating healthy relationships, and discipline of students with special needs. With his humorous style and engaging stories, he has taught these topics to thousands of adults and students. Dreiblatt is also an expert in workplace bullying and harassment, Section 504 of the Rehabilitation Act and the Individuals with Disabilities Education Improvement Act (IDEA 2004). As one of America’s favorite bullying prevention speakers and top motivational speakers, Mike has successfully trained over 500,000 students, faculty, parents and staff, how to stop bullying. His realistic and upbeat message helps schools create a positive culture and shows students how to safely and effectively stop the bullying. Mike has been as been a guest speaker in 43 states, authored two books and helped hundreds of schools and districts across America to stop the bullying. Mike have worked with many diverse school districts including the Clark County School District, New York City Department of Education, Los Angeles Unified School District, Albuquerque Public Schools, Polk County Public Schools, El Paso ISD, Gallup-McKinley County Schools and McAllen ISD. 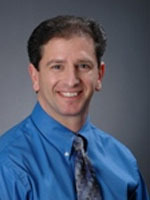 Mike’s master’s degree is in school leadership with a specialization in curriculum & assessment. He has served as a principal, dean of students, teacher, grant writer and mediator. His first book, How to Stop Bullying and Social Aggression, provides K–8 teachers, school administrators, and counselors with fun, interactive lessons and activities that stop bullying, support students’ safety and well-being, promote healthy social-emotional development, and improve academic achievement. Mike’s second book, The Wallop Story, includes lots of fun role plays and step-by-step help on how to stand up to bullies. Mike has been a national speaker since 2001.